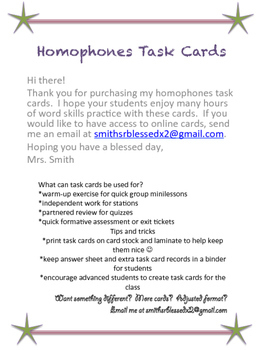 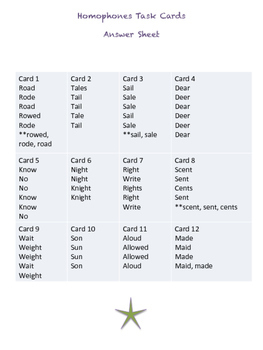 These homophone task cards can be used for formative assessment, learning centers, or minilessons. 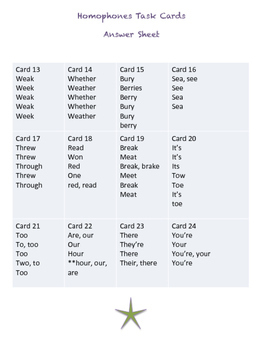 Sharpen your students' word skills with these homophones task cards targeted for middle school classrooms. 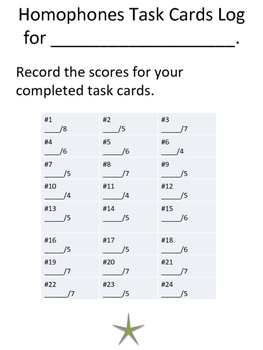 Packet includes answer sheets and student task card log.